We meet a new character in our story today. His name was Cornelius and he feared Israel’s God. He was a Gentile but observed at least two of Israel’s practices towards God; giving gifts to the poor and prayer. This is the first time Peter will bring the gospel to a Gentile, but we are getting ahead of ourselves. Cornelius is the commander of 100 Roman soldiers. I didn’t know what an “Italian Cohort” was until I looked in my bible helps. I thought it meant that he was a member of the Italian race. Instead I learned that “a ‘cohort’ consisted of 600 men under the command of six centurions with auxiliary forces in remote areas.” I’m assuming this one had auxiliary forces stationed in Italy because of the name given here. Cornelius wasn’t an ordinary centurion. He was an influential man but he wasn’t cruel to those he ruled over like many of his counterparts were. He even cared for the poor in his district and did so out of his own pocket. He also respected (“feared”) Israel’s God. As a Roman he could have chosen any one of their gods to worship but he saw THE true God and worshiped Him only. He also taught his whole family and household to do the same. We are told that Cornelius “prayed continually to God” (verse 2). This was an attitude of prayer that those who loved God were supposed to follow. In everything they did and for everything they received they thanked God. From the moment he rose in the morning, when he thanked God for another day, to when he lay down at night, when he asked God to watch over his sleep, he kept God at the center of his thoughts. This is the very attitude Paul later tells us to adopt. Just because Cornelius was a Roman didn’t preclude God from hearing his prayers. The Jewish religious leaders would have been shocked to know that a Gentile’s prayers got God’s ear. While Cornelius was praying, at one of the usual times prescribed by the Jews, God sent him an answer to an unasked prayer. Cornelius may have been asking for a deeper relationship with God but I’m more inclined to believe he was simply offering praise and thanks giving to God. When the angel calls Cornelius by name he recognized the angel as a higher authority than he himself was. 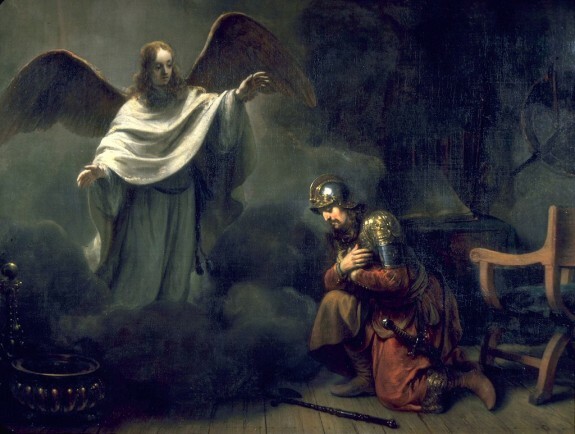 He called the angel “Lord” which indicates Cornelius assumed a position of submission immediately. 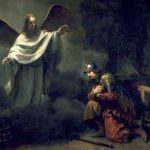 The angel gave very specific instructions to Cornelius but he didn’t say one word as to why he wanted him to do this task. Did Cornelius have any idea why he was sending for a man he didn’t know? Cornelius recognized that God wouldn’t send him a heavenly visitor and have that visitor send him on a mission unless doing so was important. Cornelius didn’t waste any time. He sent for two of his most trusted servants and one of the soldiers under his command that he knew was also “God fearing.” These men would carry out the instructions Cornelius had been given. I wonder what Cornelius thought about while the men were gone. This trip took a couple of days. Did Cornelius stay on his knees during that whole time? Was he anxiously awaiting Peter’s arrival so he could learn why the angel had him send for Peter? Was he looking forward to meeting Peter; a man the angel knew by name and exactly where he was staying? What did he think about the angel’s in-depth knowledge of Peter’s whereabouts? I have a funny feeling that he passed the time in prayer.